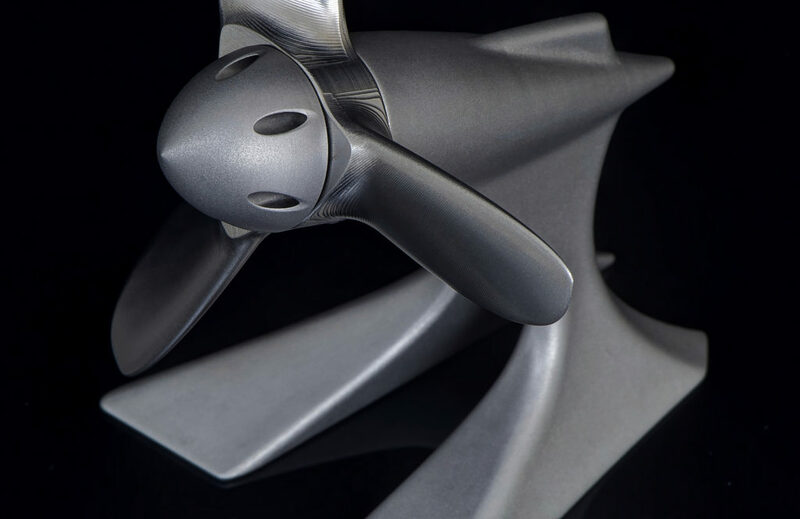 A Display Stand Desk Art Piece for Aviation Enthusiasts to show off the craftsmanship of the the TiSpin Prop and TriBlade Prop Spin Propellers, as well as the design of the display stand itself. 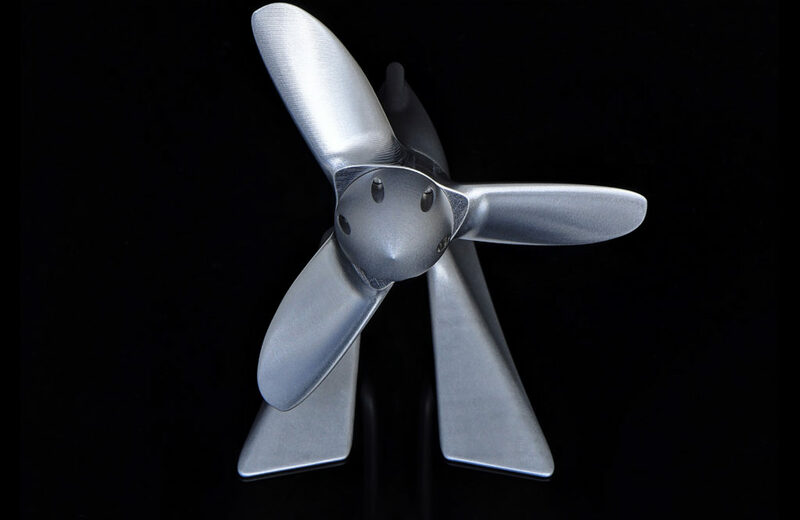 Utilizing both Additive and Subtractive Manufacturing techniques, this display is 3D Printed in, and then CNC Machined from 6AL-4V (Grade 5) Titanium. 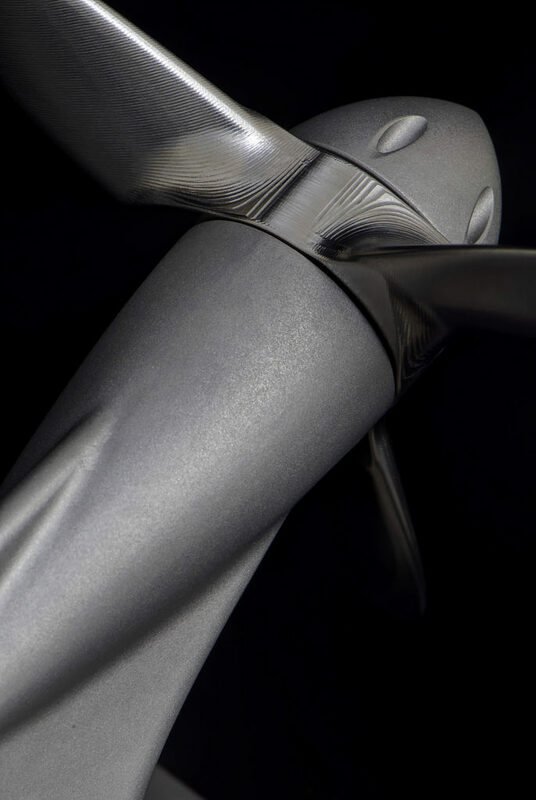 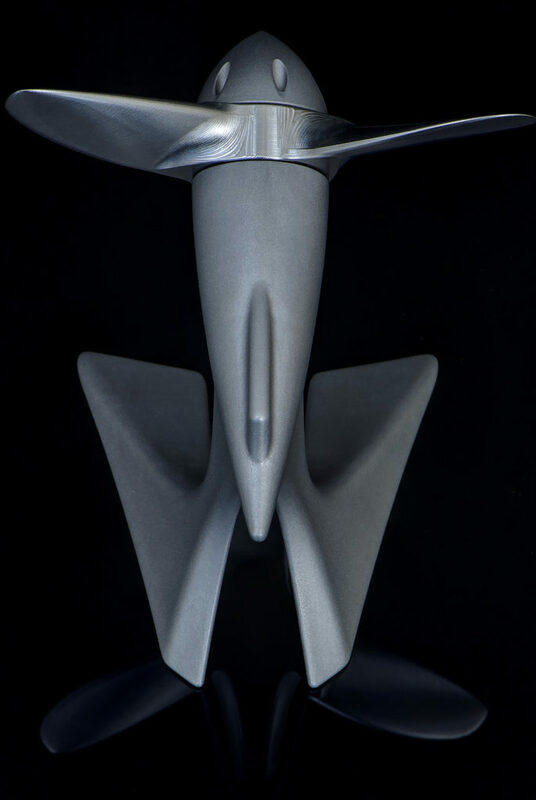 The Propeller and Nose Cone are both entirely CNC Machined from Grade 5 Titanium as well.